• Did we mention it’s 100% free? We’re sponsoring all of the costs of your degree – You’ll get the best of both worlds – with all the benefits of a job with a prestigious company and those of being a student at one of the best universities in the UK. • You will study for a BSc Honours degree in Digital & Technology Solutions whilst applying what you are learning and making an impact in one of our exciting roles. What’s the catch you ask? Well actually there isn’t one… you don’t need to be a techie, but we do ask that you’re as passionate as we are about the ways tech can be applied in the real world. You will need to be flexible and able to travel to different offices and client sites after your first 3 months. During the first 9 weeks you will experience an induction and training programme in a residential environment with Week 1 based at our Telford offices and then Weeks 2-9 on campus at Aston University. We have a number of different roles based across the UK. These include Software Developer, Software Test Consultant and Technical Consultant. If you reach the digital assessment stage, we will talent pool you towards the most suitable role based on your background and location preference. 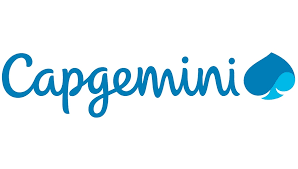 At Capgemini we often say that we’re the biggest company you’ve never heard of. We are one of the world’s largest tech companies, helping our clients to transform their businesses through ingenious technology solutions. We deliver exciting & innovative client projects across multiple industries all over the world using cutting edge technology in an entrepreneurial and supportive environment. 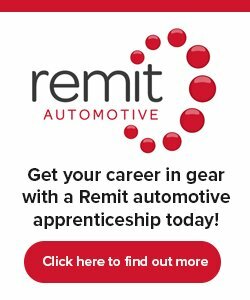 Importantly, you’ll have a community around you of likeminded apprentices who are part of the 4 ½ year programme. You’ll start your journey together on an eight-week residential training course where you’ll learn everything you need to know to kick-start your amazing career at Capgemini. If your application for a Degree Apprenticeship is shortlisted, you’ll be asked to complete a online Situational Strength Test to ascertain a cultural fit. If you’re successful there, the next stage will be a Digital Interview which is a combination of written and video recorded questions. Next, you’ll be invited to an assessment centre on-site, consisting of an interview, micro exercises and a group exercise. We will keep you updated at every stage of the process. Formed in 2009, QA Apprenticeships is part of QA – the UK’s leading learning business. We are the first IT apprenticeships business rated Ofsted Outstanding. We are an award-winning provider, offering IT, developer, digital marketing, project management and business apprenticeships throughout England and Scotland. Our apprentices work with industry leaders including Atos, British Gas, BSkyB and Cisco.